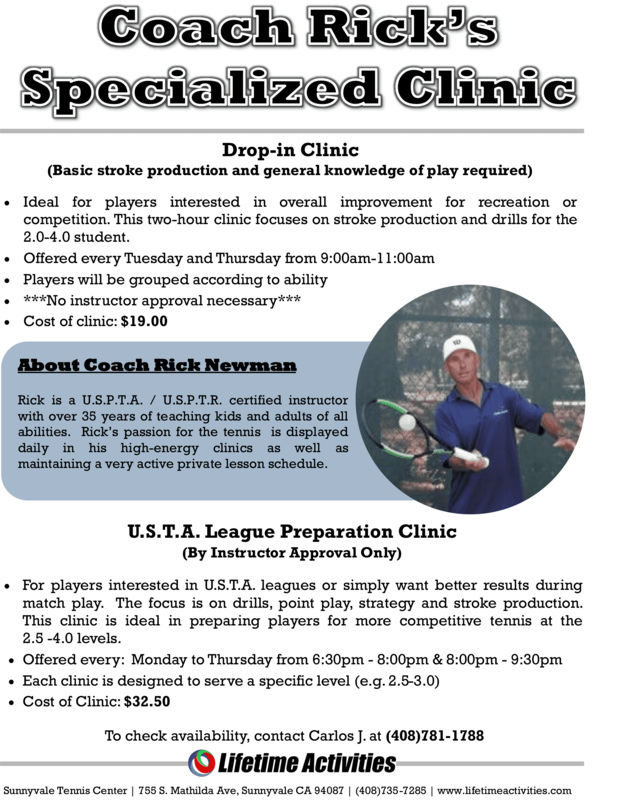 For students with little or no previous tennis instruction. Begin your lifetime love of the game here in a fun and encouraging environment. Students will be introduced to the basic skills needed to play; forehand, backhand, serve, and rules of the game. Coaches make learning fun through group games and point simulations. Modified balls and other teaching aides are used to get players rallying fast! For students graduating with 1-2 sessions of Beginning tennis. In this level, we add more movement to ground strokes and develop basic left and right control. Players at this level will participate in fun and challenging point play simulations. Volleys and net play are also introduced as well as basic doubles play. For students who have completed 2-3 sessions of Advanced Beginning tennis. Students will be introduced to more advanced techniques and shots like topspin and overheads. Net play and basic doubles strategy are introduced. Students also improve their overall confidence and consistency of the groundstrokes and serve. Added movement becomes a key component at this level. Coaches introduce basic strategies and match play. We host a variety of rotating specialty classes including Improve your Serve, Net Game and Doubles Strategy. Check the class schedule link above to see our current and upcoming offerings.